This article is aimed at providing the relevant material needed and information each student needs to have a successful application to be enrolled to pursue their goal of becoming a medical doctor. Ø HIGH SCHOOL CERTIFICATE AND TRANSCRIPTS OR ANY HIGHER EDUCATION CERTIFICATE EQUIVALENT TO HIGH SCHOOL CERTIFICATE i.e. ‘A’ LEVEL or ‘O’ LEVEL, ACT, SAT or AP test, etc. Students should note: all this documents needs to be scanned and sent to the email of admission office of the specific university you will like to be enrolled in. HOW TO APPLY MBBS IN CHINA IN 2017? Admission application to study in China does not have to be a difficult task if the correct procedure is followed. 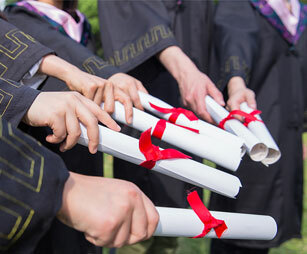 The first thing a student should do is make sure all their required documents are on hand and are easily available, http://www.hebeinu.org.cn/admission/. 1. Digital passport sized photo. 2. Passport page with basic information. 3. Completely filled health check up form (foreigner physical examination form). 4. High school certificate and transcript or any secondary schooling equivalent to high school certificate i.e. A level or O level, ACT, SAT or AP test, etc. (the name of the institution must be stated). The lowest academic percentage accepted for applicants is 60%. Applicants must not fail any subject. Applicants with a higher degree should submit both the degree and the transcript. 5. A completely filled application form for the respective institution. 6. Your permanent detailed postal address and phone number (needed for receiving your original jw202 and acceptance letter). NB jw202 form is a visa application form for studying in China , its and official documentation required by the Chinese embassy when applying for an X visa. All documents must be colour scanned and clearly seen. Only scanned copies of these documents will be accepted. Applicants must be between the ages of 18-23. These are the basic requirements needed when apply to study the Mbbs program at Hebei North University. Upon getting all these documents you must forward the scanned copies to the admission office of Hebei North University for it to be checked for suitability. You will then be required to pay a service fee, after which all processes will start. Processing the documents and acquiring the jw202 form takes some time and the admission team will keep you updated and will send the admission documents to the address you provided. In the past few years China has fast gained a reputation internationally for being one of the most powerful countries in the whole world. This is because of the fast growing economy and high educational standards. The country has developed rapidly in virtually all aspects for the past 20-30 years. China has become home for so many international students. This is because of the high standard of education in the country at the moment. The Growing global economy of China increases the academic system of China. It has fascinated worldwide students from USA, UK, Australia, Russian federation, Asia, Italy, Malaysia and other developed countries. Completing medical care studying here in China can offer extra points, when the student is seeking jobs that require international tasks. English language colleges are found in variety here in china. With China's growing influence over the world as whole, studying in china will somewhat give you the upper hand during job applications. Also, with the mandarin language rapidly becoming one spoken globally, studying here in china will give you something extra to hold to your CV. The government of China has started several reforms in the medical care techniques for the public. Most of the fundamental medical care rights of people are provided by the state like treatments, food and agricultural services. Advanced digital techniques are applied. All of these procedures and enhancements can offer more tasks to experts related to wellness insurance connected professions. Project 2020 is the leading plan for improving wellness of the Chinese people. China also has ultra modern facilities that make learning very fun and easy. The country boasts of world class equipment for the studying and research of diseases. Studying in China means you will tap into the vast knowledge of lecturers and also have first hand information on how to use these sophisticated equipment. Chinese companies are prominent over the whole of the entire globe in terms of manufacturing. It is the biggest manufacturer of technical equipment that are used in the pharmaceutical and medical fields. There are countless areas available for working for all foreign medical students. Many of foreign workers chose China because it gives them better expert exposure. Living costs in places there is also less.